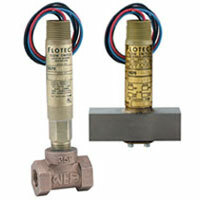 Shuttle or piston flow switches are sensors with an electrical contact output at a specific flow rate. Models are used with oil, air, water and gases. Applications include oil flow control, low flow detection in cooling lines, and high pressure lubrication systems. 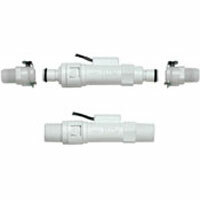 Rugged construction and excellent chemical compatibility simplify flow/no flow detection. 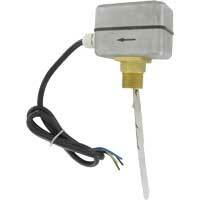 Piezo flow switches are sensors with an electrical contact output. 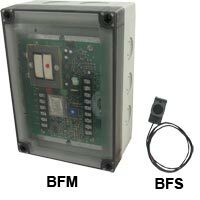 The bulk flow monitor provides effective monitoring for most flow/no flow conditions in pipes. Applications include oil spray systems, rotary drums, distributors, and food processing. 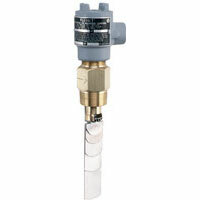 Dwyer's piezo flow switch offers many features that exceed the industry standards.